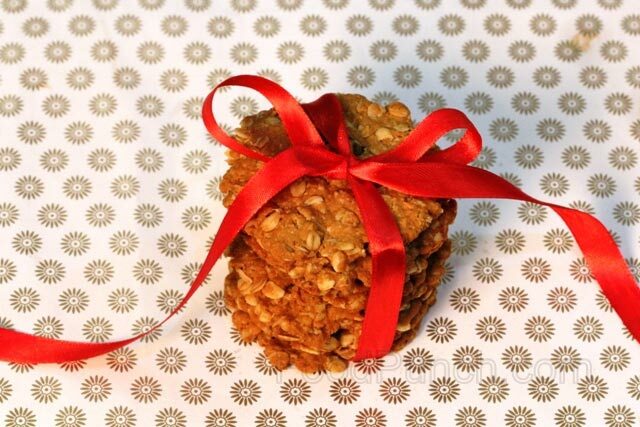 A healthy, chewy yet crunchy breakfast cookies with the goodness of oats, honey and raisins. My life seems to have become a constant struggle between trying to balance taste and health, phew !! It s a difficult task you know, especially when you are a food blogger, I can’t just ignore all the delicious food that I see, eat or read about every now and then. So the best I do is try and strike a balance by alternating between indulgence and health, that’s difficult given the position I am in but I “TRY”. The tirade that I just delivered is an obvious indication that I am about to talk of a healthy recipe. 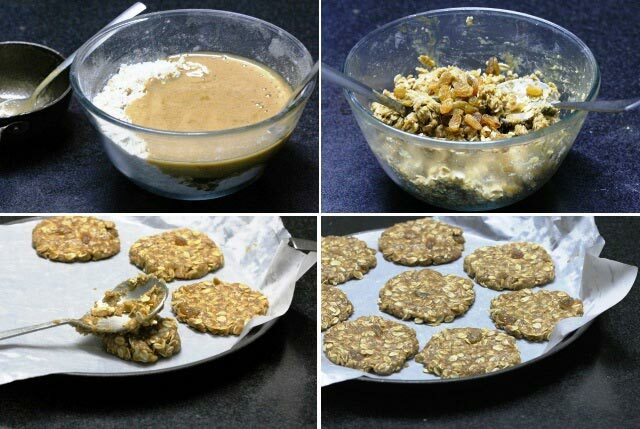 Indeed I am in my “trial mode” these days with a healthy mint and loquat cooler last and now a cookie with the goodness of oats, honey and raisins, ops what about the butter , flour and sugar, phew seriously, you don’t want to put me through a trail for this. Well, I tried and that’s the best I could do, just balance 3 indulgent ingredients and 3 healthy ones. You got to give me for trying in the least and just to break the myth an optimum amount of oil and sugar is essential for a balanced diet. 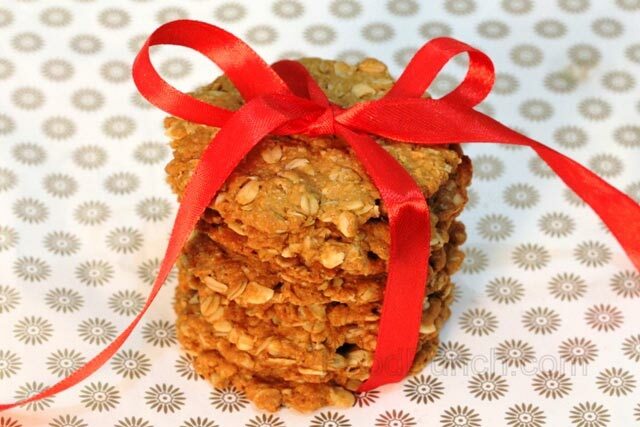 A cookie or two with milk or tea in the morning before workouts could be really great, now if you are finally convinced, do make these crumby –crispy cookies and you’ll stop buying oat cookies from the market. Preheat the oven to 200OC. Line the baking tray with baking paper and brush it with extra butter. 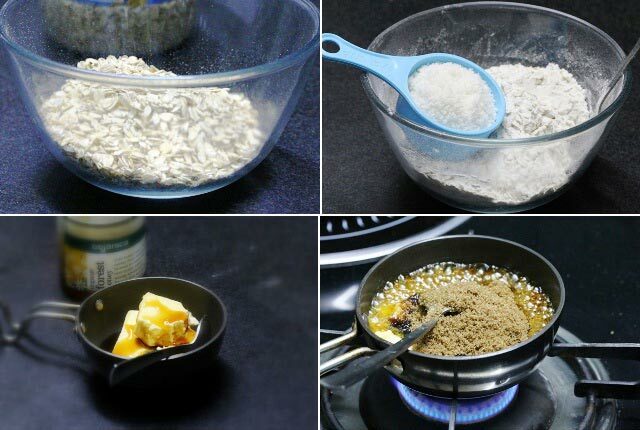 Mix flour, coconut powder and oats together in a mixing bowl. Heat butter, sugar and honey together on a slow flame just until the butter melts. Mix the bicarbonate of soda with hot water and pour into the above butter mixture carefully as a froth may form and ooze out if the vessel is too small. Add this liquid mixture into the oat-flour mix and fold everything together well, then add the raisin and mix well. Divide this mixture into 20 parts and drop each with a tbsp on the baking sheet or just roll between the palms lightly and drop on the baking sheet and gently flatten into thin round discs (approx ½ “ thick) with the palm or the back of a spatula. Keep about 1 & ½ inch space between two cookies to allow expansion on baking. You may bake in 2-3 batches if required. Bake for 10 minutes, allow resting for 4-5 minutes and then keep on the wire rack to cool before storing in an airtight container. Be careful while mixing the bicarbonate of soda into the butter mixture as the froth may flow out of the bowl. Add another tbsp or two of butter for a crumblier indulgence. Wow! Very good looking! I’m sure they will be good to eat too! Thank u Malvika, they are healthy and made a good bite :)..